Ok, The Jimmy Savile debacle and Labour in Scotland. What could possibly link these two? Reputation and the destruction of an institution. The strength of positive opinion about an organisation or person within the public at large; the belief in you and about you … and how quickly that can be ruined. This may seem a strong, disturbing and perhaps unnecessary comparison, but bear with me as this chain of events does, I think point to what Labour in Scotland have in store over the next year. Since Mr Savile’s death a very disturbing chain of events has been uncovered, detailed at length by many newspapers including this Guardian article. The first recorded evidence of his abuse was in 1965, at both the BBC and Stoke Mandeville hospital when he was in his late 30s. A more detailed timeline is on the BBC website itself, which details dozens of allegations at different locations throughout the 70s and 80s. 3. Spreading the offences by geography and by time – being careful to not have too many hotspots close together – disconnection. Savile was a very clever man; he knew how to work people and work the system and unfortunately he got away with it. He had an untarnished reputation and public persona until he died. He beat the system, he was never caught or punished. The backlash however has been enormous; well once the public woke up to what was going on. It has spawned several police investigations, a forthcoming public enquiry, examination of all his close friends and associates and a complete rubbishing of the man’s reputation and work. There will be no repeats of his programs; he is dead to society, his name now a curse. There will be other casualties; people who chose not to pursue investigations against him, people who buried complaints, who intimidated others into silence by disbelief or deliberate complicity. It will all unravel because the mass of public now demand it; most crucially we are over the tipping point. There is no going back. All that is left is recrimination, retribution and recompense. Q. What is the most chilling thing I’ve read from the whole Jimmy Savile affair? A. “Michael Buerk wishes he killed Jimmy Savile when he had the chance – by pushing him overboard a cruise ship” – Independent, Thu 27th Nov 2014. There is an implication in that statement that people within the broadcast industry *knew* before Saville’s death of his crimes, or had strong suspicion, but nobody acted. These were people who did have influence, who had connections, who could have leveraged their power to act; they would appear to have chosen not to. Hold that thought. Well, this now brings us to Labour in Scotland. They have had their Glory days, their time in the sun that established their reputation as the Socialist party of the working man and woman, which holds true for many in Scotland to this day. You do still get people who will only vote Labour, who believe in Labour and won’t change in this thinking, but crucially these tend to be older people with less access to and use of, social media. If you’re on Facebook and Twitter you can’t help but be exposed to new ideas, new writing and challenges to this existing view of the world. The truth is that Society has now changed enormously in the past ten years and the true Working class person is a slowly dying breed but new thoughts, ideas and truth take time to be accepted and embed in the public consciousness. The truth is that Labour, as judged by it’s policies, is no longer left of centre. There is a stereotyped sliding scale; younger, social media active People with energy, creativity and a hunger for information at one end and older, more traditional, settled, newspaper and BBC aligned folk who are arguably more passive (the quiet majority?) on the other. Where would you place yourself? Do you think Labour are still Socialist? So, Reputation, Implication and Disconnection. What does this have to do with Labour in Scotland? Well, they are unravelling. Recent successive opinion polls have suggested that their core vote is rejecting them, which has been confirmed by recent by-election results; Grace McLean won in North Ayrshire in October and Marie Penman won for SNP in January for a ward within Gordon Brown’s Westminster constituency. Crucially, they are no longer believed; their reputation is now Toxic; listen the audience in The Big Debate on BBC from last week, react to Jenny Marra trotting out the same old tired lines; they laughed at her. They LAUGHED at Labour. This is in sleepy, conservative well off Pitlochry. How did it all go wrong and what might screw up next? It’s not over yet folks. The reputation one is a biggie. There are several train crashes to choose from. The referendum saw Labour side with the Conservative party which would have repulsed much of their core electorate even if they were unionist supporting; Johann Lamont’s resignation after her side won the day in the Referendum vote and her scathing judgement on the London management; Gordon Brown’s parachuting in for The Vow (on and the Vow2); and lastly the dismal Smith commission under-delivering against the hopes of the Scottish People. Despite all the evidence to the contrary, Labour keep describing this pig in a poke as Home Rule. What’s the old saying, “You can fool some of the people…”. Even lifetime Labour supporters must have their faith shaken somewhat. You’d have to be really, amazingly stupid for this to have all floated past unnoticed. Second, Implication. In the same way that select people knew what Saville was up to and covered up, the BBC and the mainstream media have a lot to answer for. Rather than endlessly repeating myself, you’ll find a summary articles about their lack of transparency in allegiances with membership in ‘Better Together’ supporting CBI, public protests against institutionalised bias, highly questionable editing when covering SNP events; it’s all brought together neatly in this article on 21st Century Wire. People are waking up to the fact that in the run up to the referendum, services that they trusted to be impartial and educate them on the facts lied to them. That is huge. When this becomes more widely understood it’s going to strengthen calls for control of broadcasting to be devolved to the Scottish parliament. At that point, kiss the reputation of the BBC goodbye. And this brings us to the third one that ties this two together, Disconnection. We live in a connected world, Labour no longer have the luxury of protection by wilful ignorance by the BBC or by Newspapers. In the past they could royally screw up and the chances of it leaking would be minimal as they were protected by journalists and editors who turned a deliberate blind eye. Now we have MPs themselves being citizen journalists on Twitter and ragging out Labour when they lie and cheat. 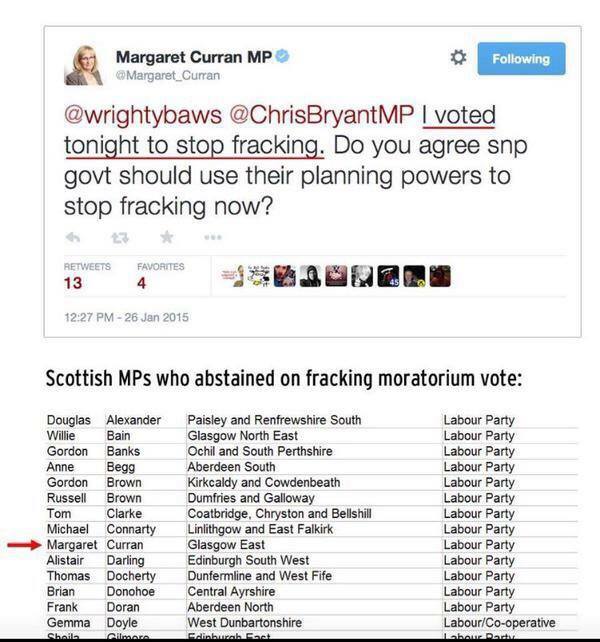 Then when Labour try and lie about their actions, they get caught out too. There is nowhere to hide. Or in another classic faux pas, Labour are trying to stir up a non-story about the performance of the NHS in Scotland, to give the impression it is being mis-managed by the Scottish Government. 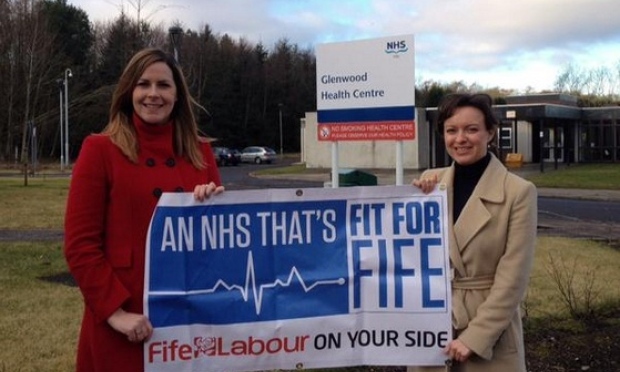 So this had two rising stars in Labour, Jenny Marra and Melanie Ward posing outside a Fife health centre with a nice placard. The problem is that said health centre, in Glenrothes has been closed and unused since a new health centre was build adjacent to the building and opened by former Scottish Government health secretary Alex Neil last year. Oops. The Courier today rightly called them out for this. So what next? Well, I do think May’s Westminster elections will be a blood bath. I think Labour will lose at least half of their seats and they are in danger of self destructing. Then will come the post-mortem. Attention will then turn to the BBC in Scotland, the mains team press and who knew what and when. What’s coming is the destruction of Labour in Scotland, something I never thought I would see in my lifetime and a prospect that makes me sad. I grew up labour, I wish John Smith could have lived to have become Prime Minister but he would be mortally offended by the likes of Margaret Curran and Jim Murphy who are careerist, self serving politicians of the worst, most corrosive kind. 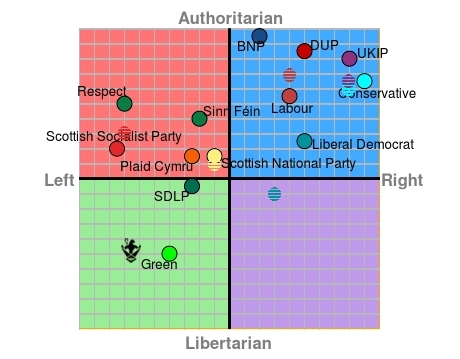 I don’t want a one party state, I want a strong government and a strong opposition, but that isn’t Labour. It needs to die and be replaced by something better.